Dear members here is the March Newsletter for your information and action as appropriate. Hope you find it of interest. I welcomed 44 members and guests to the restaurant Amanecer. The last time the Society used this restaurant was February 2011. 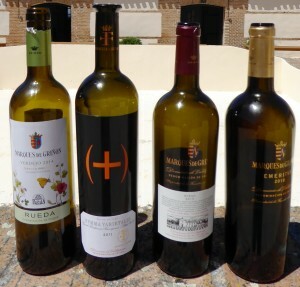 I then introduced the bodega of Francisco Gomez from DO Alicante who were presenting five of their wines for the evening’s tasting and welcomed the representatives who were Antonio Gazquez, Eliseo Gimenez and Coral de la Rosa Valero, who did the translation. A more detailed report on the tasting can be found on the web site under “Tastings – Recent Tastings” or by clicking on February Tasting. No this is not a mistake dealing with the April tasting, but just a warning flag that the April Tasting is on April 11th, a week earlier than our normal 3rd Thursday of the month as Easter is that week. Another advance warning. The May Tasting is a special event where we have a Guest Speaker Ed Adams an innovative Winemaker and Master of Wine who is coming over to Spain to talk to us. His theme is “Old world wine with a New world finish” This tasting will be at Les Rotes Denia and we want to make this a big event so please put May 16th in your diary and invite some wine loving friends. The next tasting which is on March 21st will be held at the Restaurant El Cumbre, Benitachell, when our own members Kathy and Andrew Johnson will be presenting “A case of Mistaken Identity”. They have chosen a selection of single variety wines and these are linked to the role of the highly specialised botanists whose job it is to identify grape varieties by sight (and a life time of experience). There will be one or two surprises, not to mention at least one story of confusion that we might find hard to believe. Please remember that the booking deadline is the FRIDAY before the tasting. If you have to cancel after the deadline you will still have to pay! Reservations and choice of main course please to: Penny Floodgate Tel: 965794996 or email: pennyfloodgate@gmail.com. Reservations must be received no later than the deadline 12.00 noon on Friday 15th March. Penny will always confirm receipt of your booking. If you have made a reservation and do not receive a confirmation from Penny you are not booked, so in that case please check with her. Looking forward to seeing you all on the 21st of March.